Work in solidarity with students, families and community to achieve our goals. 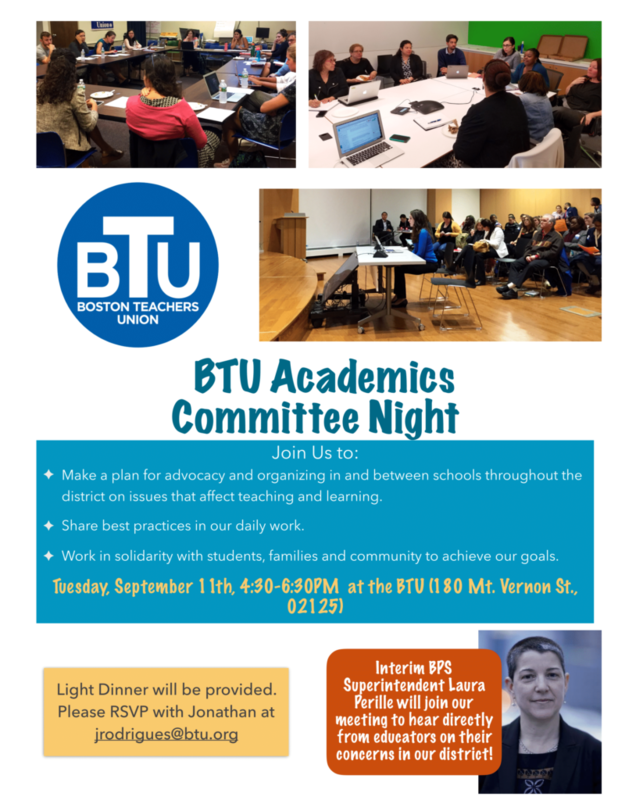 Interim BPS Superintendent Laura Perille will join our meeting to hear directly from educators on their concerns in our district! Download a flyer for posting.